Jennifer Morgan helps other teachers learn about technology, and one of her favorite ways to do that is to turn them loose to take their own journey of self-discovery. 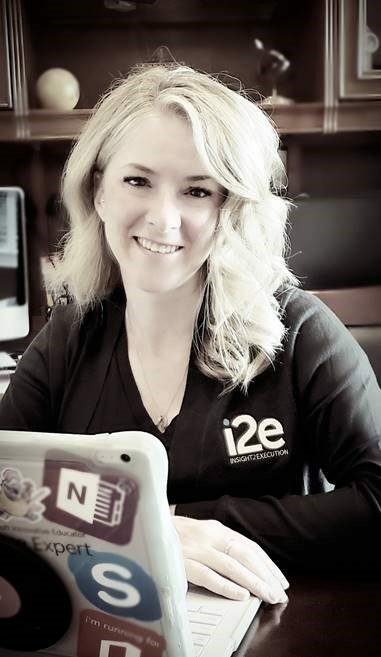 She also helps them harness the power of social media and the Microsoft Educator Community to connect with other educators so that their professional learning community extends outside their school. “My goal is to help teachers realize that there are so many resources out there and that they do not have to be the experts in everything,” she says. Morgan stresses that her own journey of discovery is ongoing. She’s a Microsoft Innovative Educator (MIE) Master Trainer, MIE Expert, Surface Expert, and Skype Master Teacher. She’s also a Certified Microsoft Educator and is MOS Expert Certified. When asked about the biggest challenge facing educators today, Morgan doesn’t hesitate to point to the high (and growing) expectations all teachers face. To meet those expectations, she helps teachers learn about tools that can help with productivity as well as engagement. And she emphasizes the importance of continuous learning. “Investing time learning new things today will pay dividends in the future,” she says. “Being a life-long learner is a must and can only help us as we face new challenges. Connect with Jennifer at her Microsoft Educator Community Profile. Favorite Microsoft product, tool, technology: OneNote, OneNote and OneNote!!!! Website I check every day: Bing, I love picture of the day and information that goes along with it. Favorite childhood memory: Visiting Washington D.C. and watching the Declaration of Independence being lowered into a secure vault for the night. What is the best advice you have ever received? The best learning happens in organized chaos. Don’t be afraid to let go and get comfortable being uncomfortable!